The 2012 Old Time Wood days took place in Milltown during the weekend of 10 and 11 November. 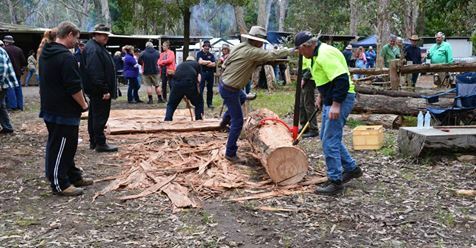 This year’s event, which raised $27,471.05, was the subject of an article in the Warrnambool Standard for Monday November 12. Read the article by clicking here. It was preceded by the installation of much improved facilites as described here Christine and Andrew Duyvestyn: “It is with great pleasure that we can inform patrons of the “Old Time Wood Days” that we now have a toilet block and septic tank installed to save the need for transporting portable toilets each year. 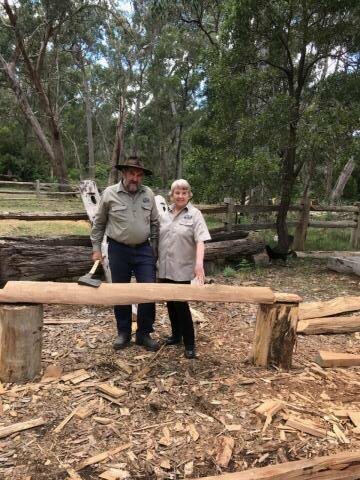 “Also thanks to the hard work of Chris Fazio and Chris, Peta, Matt, Cam and Mykala Thomas we now have some lovely benches for the ladies to work from. Wood Days would not be the same without the children. Here are three of them. There is not much than can be written about this year’s event that has not been written before. It was as successful as ever, with great food and country hospitality for more than five hundred guests. Over $25,000 was raised for CIKA by Andrew, Christine and their dedicated team of hardworking and enthusiastic helpers. Click here to read more about these wonderful people. or click here to read about its origins.